Firewatch was a slow-paced, contemplative indie hit about people. So of course, somebody decided to turn it into a roller coaster. 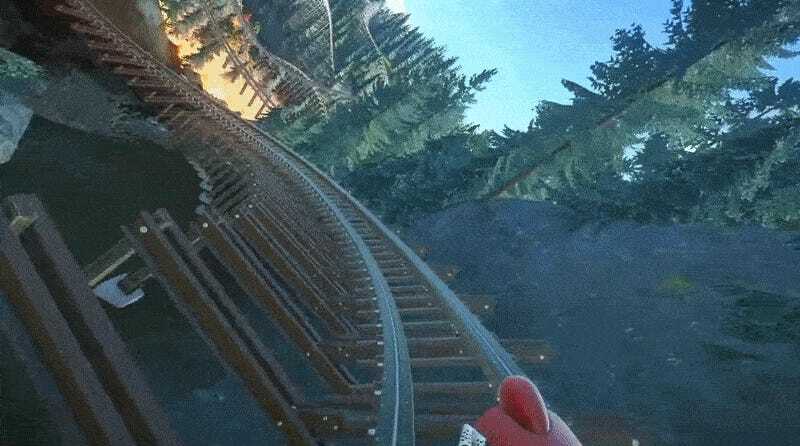 I would absolutely ride a real life version of this if I wasn’t a) afraid of roller coasters and b) even more afraid of wildfires.